My Hero Academia: Two Heroes was slated to release in PH theaters tomorrow, October 17. Though film distributor Pioneer Films recently announced that the movie’s release date will be delayed due to a lack of cinemas. Pioneer announced the BNHA movie’s delay yesterday through the My Hero Academia Movie PH Facebook page. 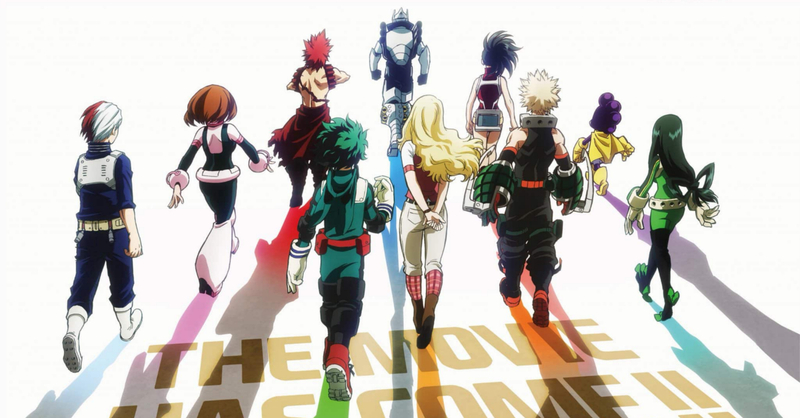 In their announcement, Pioneer stated that there weren’t enough cinemas that were available to screen My Hero Academia: Two Heroes due to various blockbuster movies extending their schedules. The movie could’ve been pushed through, but Pioneer wanted the film to have a wide release. We believe that it Pioneer’s decision is warranted, as My Hero Academia: Two Heroes definitely deserves a wide PH cinema release. It’s just sad that there aren’t enough theaters available for the movie; though this isn’t too surprising, given that anime films have a smaller audience compared to your typical blockbuster. My Hero Academia: Two Heroes’ PH new release date is yet to be announced. A delay in an anime film’s PH release is not new, given that films such as Maquia also had their release date moved back due to a lack of cinemas.